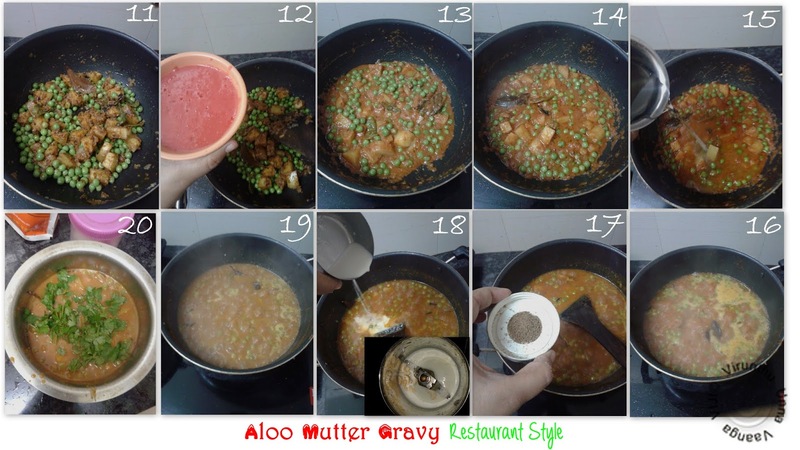 Hi friends, preparing restaurant style recipes at home is always happy and here I am posting aloo mutter gravy/potato green peas gravy. 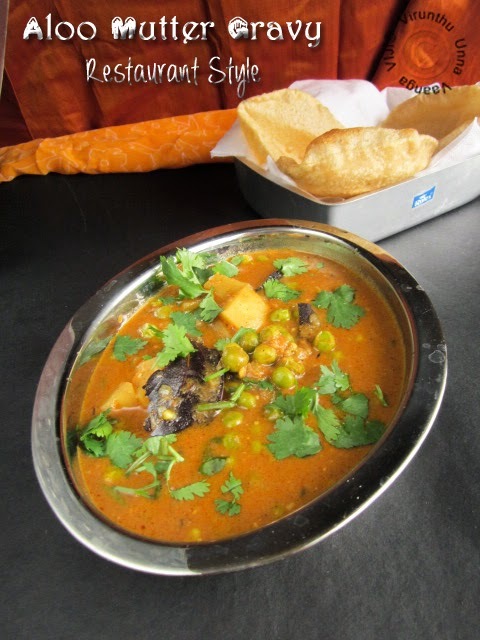 I already shared some restaurant style recipes like Kaima idli, Potato masala. 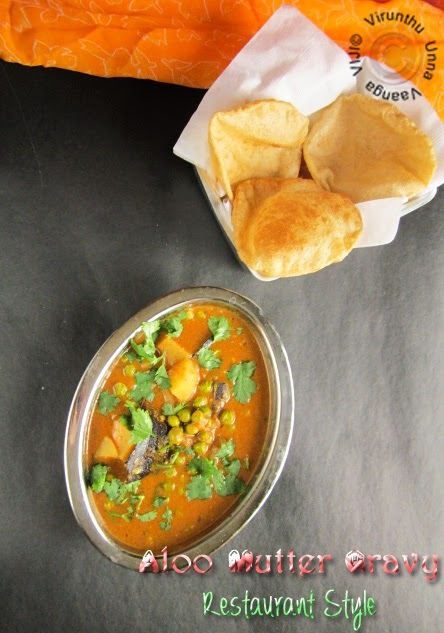 The gravy will be in rich taste as you tasted in restaurants, and it mixed with good amount of tomato puree, cashew milk paste and aromatic blends of spices. Heat oil in pan; add cinnamon, cloves and cardamom wait for 15 seconds then add cumin seeds and wait for splutter, then add green chillies. Add chopped onion, sauté it till translucent, add ginger garlic paste and sauté it till the raw smell goes. 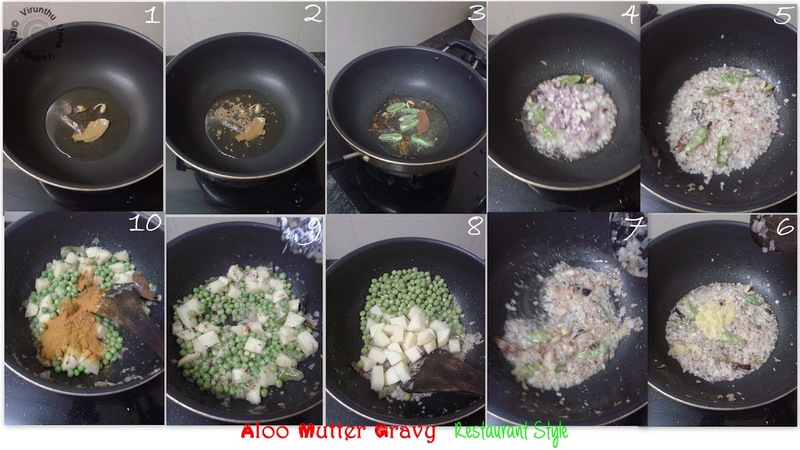 Then add peas and potatoes mix it well and allow cooking for 5 minutes. Then add turmeric powder, red chilli powder, coriander powder, garam masala powder with salt and sauté it till the raw smell goes off. Pour tomato puree, combine it let be on low flame and cover the pan till the masala oozes out the oil. 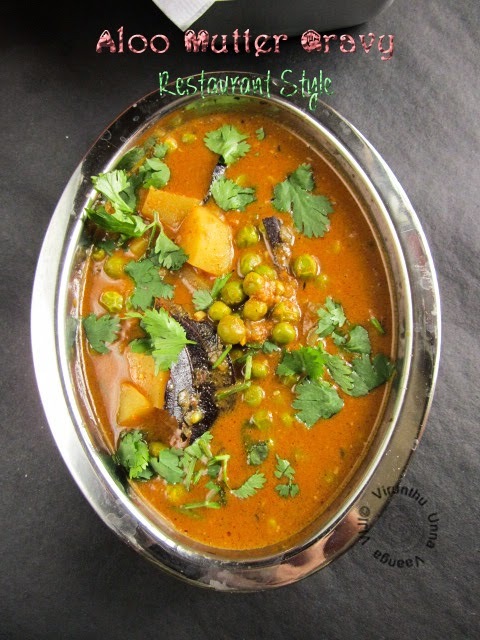 Add enough water and allow cooking the peas and potatoes for 10 minutes then add pepper powder and cashew paste and let it boil for 5 minutes then switch off the flame. 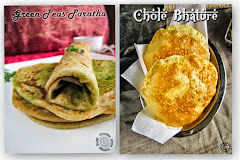 Garnish with coriander leaves and serve it for Poori/Chapathi. You can add 2 Tbsp of fresh cream when you add cashew nut paste. 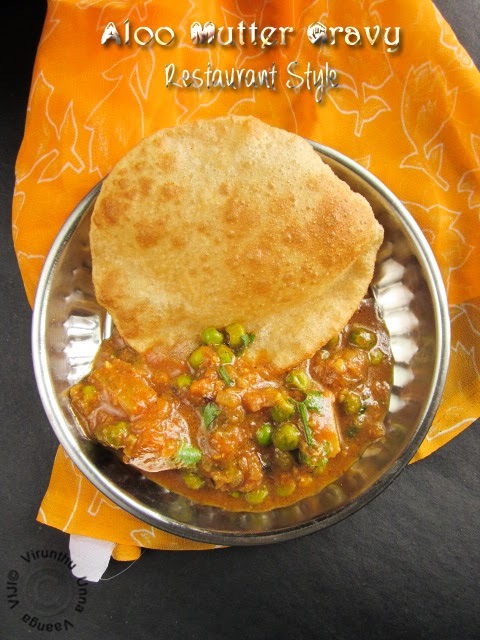 If fresh green peas are not available, add soaked dry green peas. 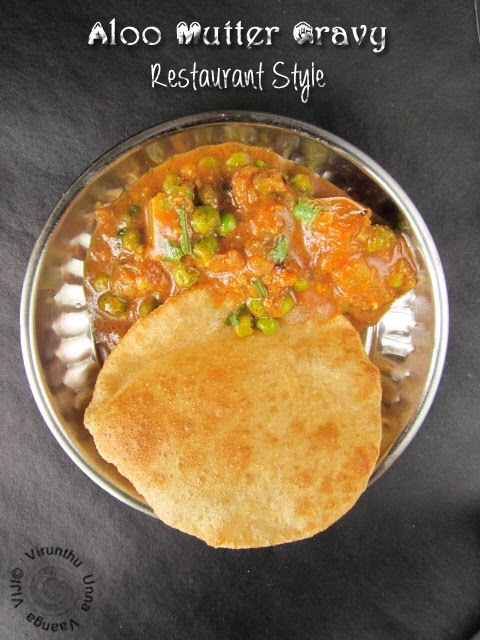 TEMPTING AND DELICIOUS RICH GRAVY FOR YOUR ROTI/POORI!!! 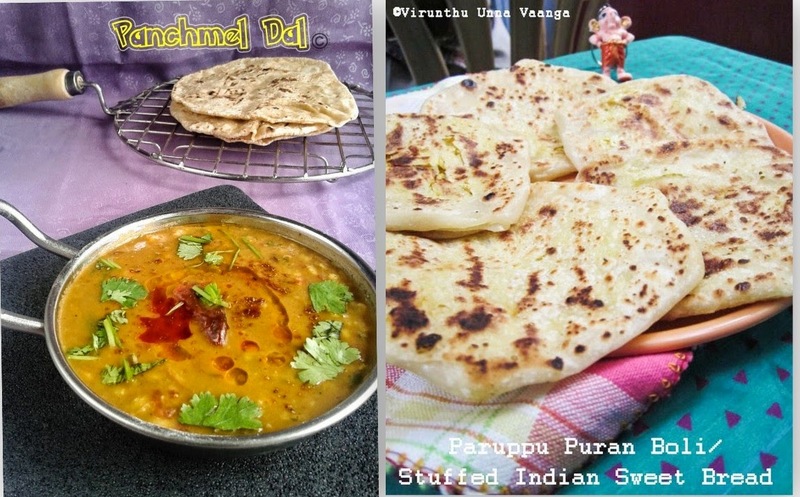 This is my hubby's favourite dish.. looks yummy. 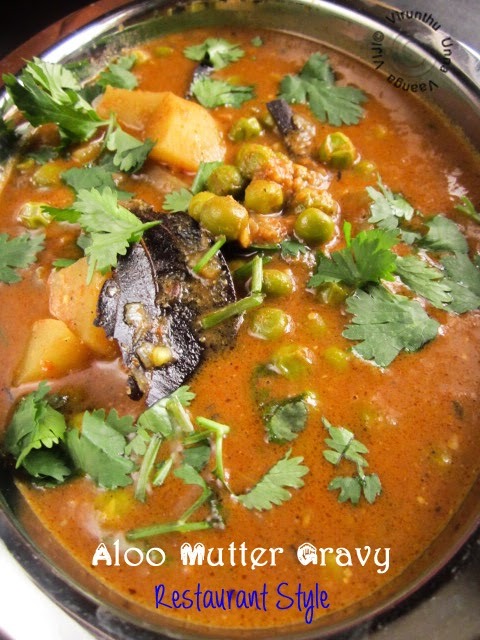 wow wow mouth watering aloo mutter ki sabzi :) looks so inviting dear !! Thank you so much சதுக்க பூதம். 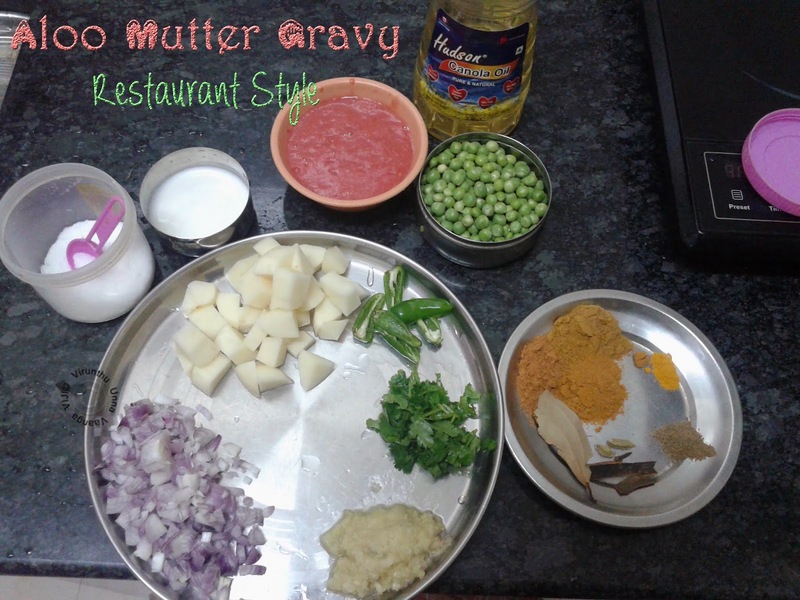 If possible send me your tried gravy picture to my mail vijisvirunthu@gmail.com. Will add to fb page with your name.